People ask me: There are these new high-tech “stem cell creams” on the market. What do you think about them? Here’s the scoop on stem cells…Suppose you cut your finger. Your wound is able to heal because other skin cells around the damaged area divide and migrate to seal the wound. Break a leg, and chondrocytes (bone-forming cells) will repair the damage. By the way, your liver has the same ability. You can observe similar changes in the epidermal basal layer in response to injury. It is the stem cells that have the ability to divide for an indefinite period and can give rise to a wide variety of specialized cell types. When the need arises, stem cells become activated to migrate from their niche and embark upon their specific mission. The skin epidermis provides a protective barrier that protects you from harmful microbes and prevents dehydration. The skin’s elixir for maintaining tissue homeostasis, regenerating hair, and repairing the epidermis after injury is its complement of stem cells, which reside in adult hair follicles, sebaceous glands, and the epidermis. To perform their functions, these tissues undergo continual rejuvenation so as to effect wound repair in response to injury. Recently, scientists have begun to reveal the properties of skin stem cells and unravel the mysteries underlying their remarkable capacity to perform these feats. The process is in a dynamic flux—surface cells are continually sloughed off, replaced by inner cells differentiating and moving outward. In the human epidermis, this self-renewing capacity of epidermal stem cells is enormous. The process is quite quick, all things considered: It takes about a month for a basal stem cell to form in the deeper layers and then to differentiate and move out to the skin surface and exit there. Stem cells are present within the basal layer of the adult epidermis. We don’t yet know, actually, whether all those basal cells are stem cells, or whether just some are stem cells. But either way, any damage would stimulate the stem cells. Populations of adult stem cells generate replacements for cells lost due to injury or normal wear and tear. Scientists believe that stem cells reside in a specific area within the basal layer, where they may remain quiescent (undivided) until they are activated by tissue injury. It all comes back to exfoliation. There is no other way to make your skin to look younger since it is that repeated minimal stress on your outer skin layer which activates the production of new cells. We know that process works—and works well. Some manufacturers use the stem cells derived from exotic plants in their facial creams. Technicians extract tissue from the plant. Then they scratch this cultured plant tissue, as a way of inflicting miniature wounds. This damage stimulates the plant’s stem cells to act. This stimulation induces the formation of new stem cells on the wounded surfaces of the plant. After slow replication and division on the outside of the scratched plant surface, the new cells fashion a large accumulation of colorless cells, known as a callus. The cells composing the callus have been divided into cells that do not carry the specific features of individuated plant cells. This callus is what’s used as an ingredient in facial creams. 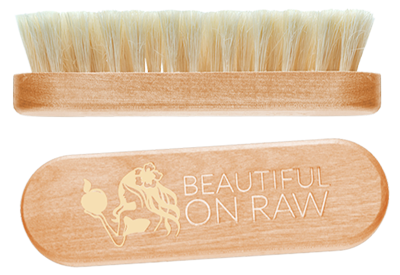 Even though I strongly believe diet and dry brushing are fundamental in achieving glowing complexion, I still pay attention to the latest advances in cosmetic science. 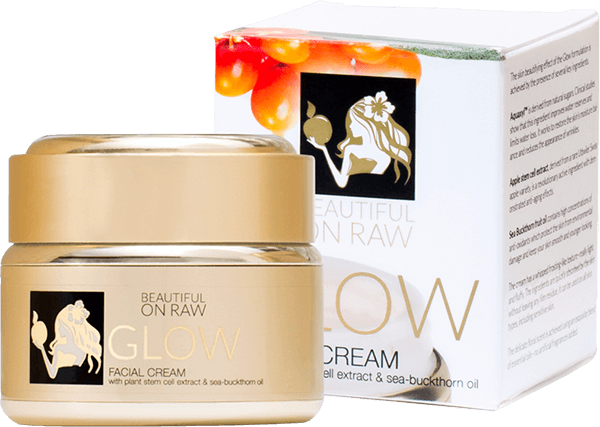 If stem cells in a topical cream can help, I include them in my GLOW cream!